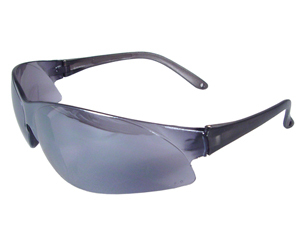 Radians Safety Glasses Sleek, sporty, lightweight wraparound frame. •Sleek, sporty, lightweight wraparound frame. •Gel nosepiece allows for all day comfort. •Unique hidden hinge temple design. •High gloss painted frame. Comes standard with neck cord. •Lenses are coated for scratch resistance. •Cushioned, non-slip rubber temple pads for superior comfort. •Meets ANSI Z87.1 + standards. Radians introduces the Evolution Series Featuring original, modern styles that integrate the compliance and comfort elements end users demand from a safety glass. Only eye protection with features and performance that exceed the commonly expected standards will qualify to carry the Evolution name. Original modern style with three different frame color options and new gold mirror lens option. You'll select Frame Color in the next step. •Realtree Hardwoods® camo pattern on frame. •4-position telescoping temples for superior fit. •Lenses are hardcoated for scratch resistance. •9.75 base lens provides excellent optics and coverage. •Meets ANSI Z87.1 + standards and provides 99.9% UV protection. 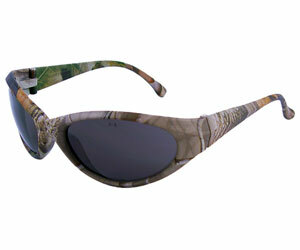 •Lightweight, stylish frame provides a comfortable fit. •Wide temples provide extra side coverage and protection. •Includes neck cord and microfiber bag. IQUITY™ – A PREMIUM COATING THAT PERFORMS BEYOND EXPECTATION Every once in a while, a revolutionary innovation comes along that really makes a difference in how you see things. Radians new IQuity™ Anti-Fog Coating is a breakthrough technology that provides one of the most superior and long-lasting anti-fog coatings in the marketplace at a competitive price. It is both EN166K and N compliant. The water-based coating lasts much longer because the anti-fog and anti-scratch properties are built into the lens for long-term wear and durability. 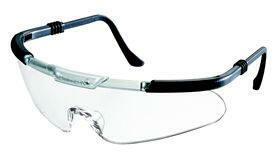 The Radians Optima™ IQ Safety Glass offers a lightweight frame with dual mold temples. 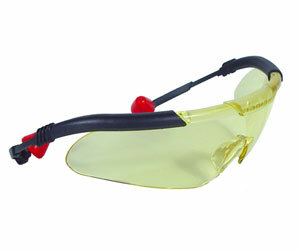 Adjustable rubber nose piece provides a comfortable, customized no-slip fit. Polycarbonate lens is impact resistant. • IQuity™ Intelligent semi-permanent anti-fog and anti-scratch hydrophilic coating that lasts longer than hydrophobic coatings. • Environmentally friendly, non-toxic and non-flammable unlike highly toxic solvent-based coatings. 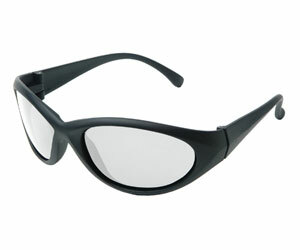 • Water washable up to 20 times more than hydrophobic anti-fog glasses. • Dual Mold Rubber Temples provides a comfortable fit. • Adjustable Rubber Nosepice provides a customized, no-slip fit. 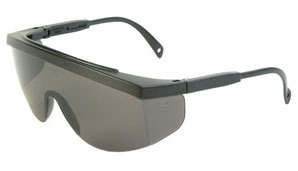 • Polycarbonate Lens provides impact resistance. • Meets ANSI Z87.1 Standards. • Provides 99.9% UVA/UVB Protection. •4-way adjustable temples. Telescope the temple to the correct length, then ratchet the lens up or down to get the precise angle for optimum protection. •Comfortable rubber nose piece is made of a soft rubber material which reduces slipping. •All lenses are coated to resist scratching and extend the life of the glasses. Clear and grey lenses are available with anti-fog coating.Offered in Radians' new UV400/IO lens. This lens is suitable for both indoor and outdoor use, eliminating the need to change glasses when going from one environment to another. •99.9% UVA and UVB protection. •Offered in Radians' new UV400/IO lens. •This lens is suitable for both indoor and outdoor use, eliminating the need to change glasses when going from one environment to another. •All lenses are hard coated for scratch resistance. •Offered in Radians' new UV400/IO lens. This lens is suitable for both indoor and outdoor use, eliminating the need to change glasses when going from one environment to another. •Flexible non-slip temple tips and soft rubber nosepiece for extreme comfort. •Slim line temples fit well under earmuffs or hard hats. •Wraparound single lens provides unobstructed field of vision. 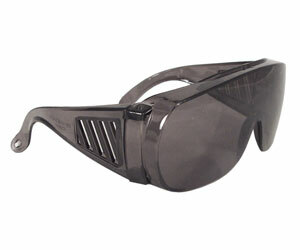 •Extended brow guard molded into the top of the lens for added protection. •Soft rubber nosepiece with self-adjusting fingers prevent slipping. •Temple pieces extend for a precise fit. •Extended brow guard molded into the top of the lens gives a near perfect orbital seal against debris. •Available in a wide range of lens colors and two semi-opaque frame colors: Crystal Grey and Crystal Blue. •Six-base curved unilens design for superior optical quality. •Wraparound lens with no distracting side shields. Width is a full 155mm for increased protection. •Distortion free lens is fog and scratch resistant. •100% polycarbonate lens blocks out over 99% of harmful UVB and UVA rays. •Adjustable temple for maximum comfort. •Each pair of AVs comes with a breakaway neck cord. •Super soft Jelli Plugs are made of FDA approved materials. Non-toxic, washable. Replacements available. •Slide-on, groove interlock temples lock on for stability, slide off for easy lens replacement. •Glasses meet ANSI Z87.1 standard. Every once in a while, a revolutionary innovation comes along that really makes a difference in how you see things. Radians new IQuity™ Anti-Fog Coating is a breakthrough technology that provides one of the most superior and long-lasting anti-fog coatings in the marketplace at a competitive price. It is both EN166K and N compliant. The water-based coating lasts much longer because the anti-fog and anti-scratch properties are built into the lens for long-term wear and durability. 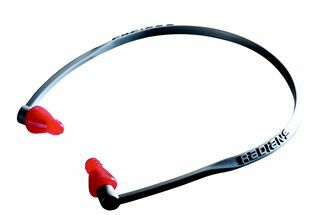 Radians Rad-Sequel™ IQ safety glasses have a lightweight design which provides a comfortable fit. Rubber tipped temples and a soft rubber nose piece gives this glass a secure fit for all day wear. •IQuity™ Intelligent semi-permanent anti-fog and anti-scratch hydrophilic coating that lasts longer than hydrophobic coatings. •Environmentally friendly, non-toxic and non-flammable unlike highly toxic solvent-based coatings. 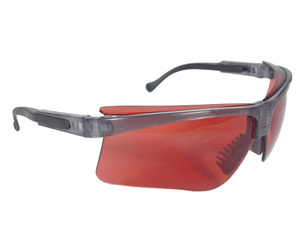 •Water washable up to 20 times more than hydrophobic anti-fog glasses. •Rubber tipped temples provide a secure fit. •Soft, rubber nose piece provides all day comfort. 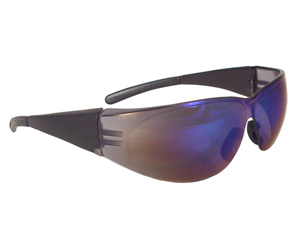 •Protective lens provide 99.9% UVA/UVB protection. •Safety Glasses meet ANSI Z87.1+ standards. •Stylish wraparound Provides excellent protection at a very affordable price. •One piece lightweight policarbonate lens offers integral side shields with adjustable temples. •Hard coated lenses are standard and anti-fog coating is available in certain styles. •All lenses provide 99.9% protection against UVA and UVB rays. •Meet or exceeds all ANSI Z28.1 andCSA Z94.3 requirement. •These traditional-looking Overspec safety glasses offer outstanding vision protection. 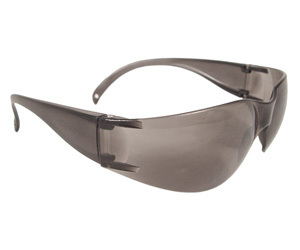 •They combine safety and comfort at an economical price. •Can be worn over prescription glasses. Unique banded hearing protection slips on and off as needed.